The scroll-tuned low end of a Mounted Cornet, Klais Orgelbau. 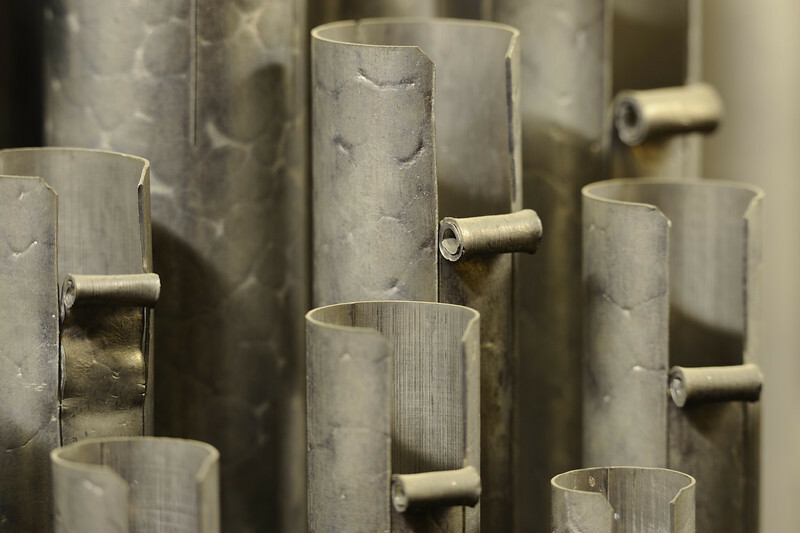 The pipes are made of spotted metal, a mixture—not alloy—of tin and lead. The constituent metals have different melting points leading to partial separation on cooling when the proportion is between 0.45–0.55.